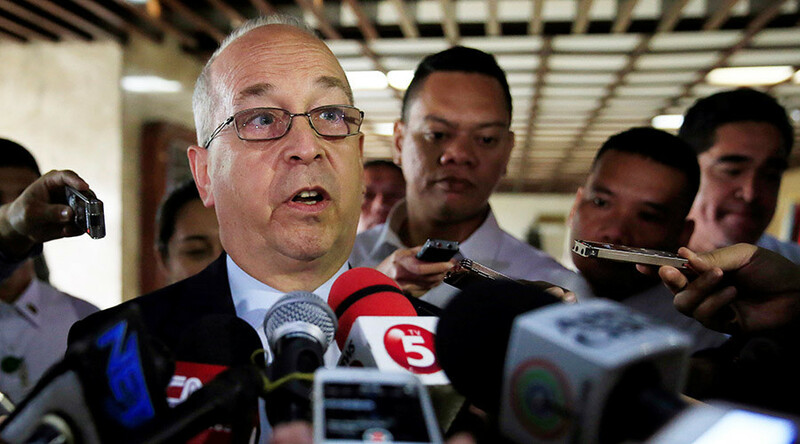 America supports the Philippines’ controversial war on drugs and remains a “steady and trusted” partner of the island country, a senior US diplomat for Asia, Daniel Russel, assures. Nearly 2,300 people have died in the Philippines during President Rodrigo Duterte’s war on drugs since July 2016. US-Philippines relations have been in a death spiral ever since President Barack Obama’s administration started voicing concern over Duterte’s tactics in dealing with drug crime. “The United States believes in the rule of law, due process, and respect for universal human rights, and that these principles promote long-term security,” Toner said. “We strongly urge the Philippines to ensure its law enforcement efforts comply with its human rights obligations,” he added. “Because the consequences when you do it the wrong way, innocent people get hurt. And you have a whole bunch of unintended consequences that don't solve the problem,” he said. Manila didn’t welcome Washington’s reprimands, and the Filipino leader retorted with a series of fiery remarks warning Obama to stay out of it and stop dictating Philippines policy. 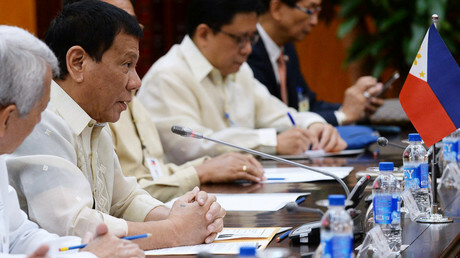 Despite the criticism from the US, as well as the UN, Human Rights Watch and other rights groups, Duterte – nicknamed ‘The Punisher’ for his harsh measures against drug dealers and traffickers back in the days when he was mayor of Davao city – vowed to continue his crackdown throughout his entire term, saying that drugs have infected “every nook and corner” of the Philippines. Russel was quick to assure the press on Monday that the United States remains a “steady and trusted” partner of the Philippines, but said that Duterte’s remarks regarding mutual relations create a “real climate of uncertainty” between the two states. “I pointed out to Secretary Yasay that the succession of controversial statements and comments, and the climate of uncertainty about the Philipppines’ intentions, have created consternation in a number of countries, not only in mine,” Russel told reporters. He added that while the US government welcomes Duterte’s push for improvement in Manila’s relations with Beijing, this should not be done at the expense of Manila’s alliance with Washington. The island country is a crucial military ally for Washington in South-East Asia and its main buffer against China’s ambitions to expand its influence in the region. The US currently has five bases in the Philippines. US soldiers were stationed in Mindanao in 2002 to train and advise local government forces, but the majority of the US military presence withdrew in 2015, with only small number of troops remaining in an advisory role. The US and Philippines have also often conducted joint military exercises on Philippines territory in the past, the last ones taking place earlier this month. Duterte, however, said these joint drills were the last ones and promised to oust US troops from his country, sparking further “head-scratching” in Washington. In a post on his Facebook page, Yasay recently attempted to clarify his leader’s anti-US rhetoric. He said that while breaking away from “our closest friend,” the United States, would not be in the best national interest of the Philippines, it would mean the country could pursue a foreign course of its own choice, and that is what Duterte is actually trying to achieve. “Separation from our former colonial master is demanded in pursuing our independent foreign policy. It implies breaking away from the debilitating mindset of dependency and subservience – economically and militarily – that have perpetuated our ‘little brown brother’ image to America, which has stunted our growth and advancement,” Yasay wrote.